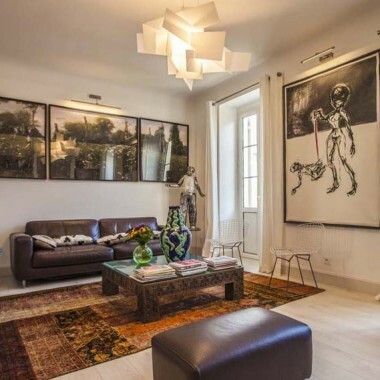 This charming villa to rent is in Bidart, just 5 miles to the south of Biarritz. It enjoys a truly stunning location on a cliffside overlooking the Atlantic Ocean. As well as peace, privacy and fantastic views, there is also direct access from the enclosed lawned garden to the white sand beach below. The delightful small town of Bidart is just a short walk (0.5 mile) away. The area offers many activities, including 12 golf courses, surfing and body boarding, windsurfing, horse riding, mountain biking and hiking, or a relaxing and pampering experience at one of the numerous thalassotherapy centres. 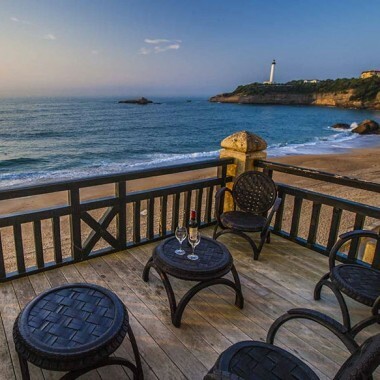 This holiday villa in Biarritz has been constructed in traditional Basque style with a furnished wooden deck to the front where outdoor meals and the wonderful sea views can be enjoyed. The rooms are light and spacious, all with large windows overlooking the ocean, and furnished tastefully in a minimalist style. There is a telephone, television and internet access. 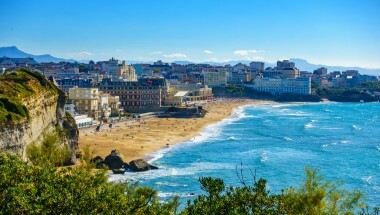 It is a perfect base from which to both explore the many attractions of the Basque coast and to relax and recharge the body and soul. The many activities in the area include spa treatments, painting courses, cultural tours of the region, surfing and golf. Open-plan living/dining room/kitchen area with French doors to terrace. Master bedroom (king-size bed) with shower and en-suite WC. Separate shower room/WC. Double bedroom (1.60m bed) with additional single bed (.90m) and sloping ceiling. This lovely rental villa is situated on on a cliffside overlooking the Atlantic Ocean, in Bidart, just 5 miles to the south of Biarritz. The location offers peace, privacy and fantastic views, as well as direct access from the garden to the white sand beach below. The delightful small town of Bidart is just a short walk away. 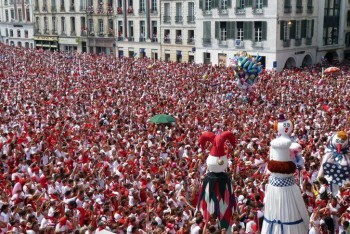 Join the Festivities at a major Basque party this summer!